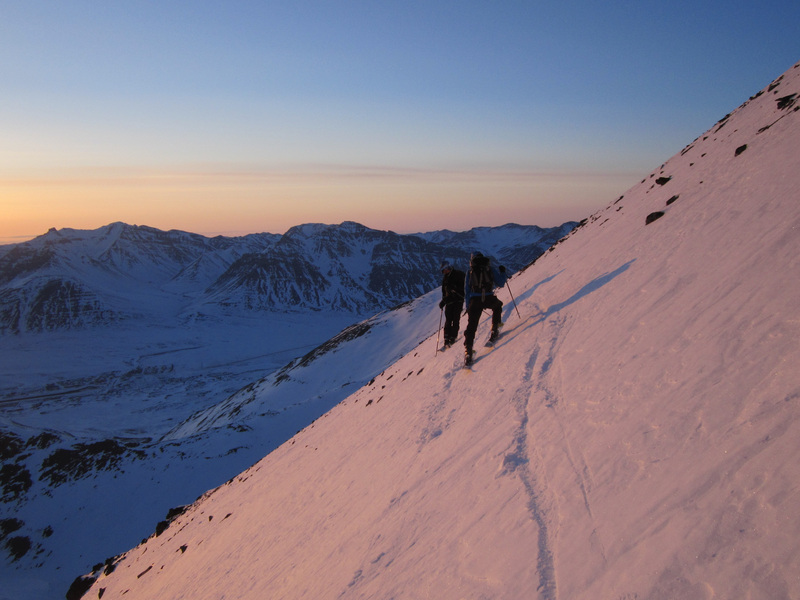 Anaktuvuk Pass is one of those places that is mythical in the minds of many Alaskans. It’s a town you often hear about, but few ever have the chance to visit. I remember as a kid frequently seeing it pop up on the news weather report as the state’s coldest location and wondering what it would be like to live there. How cold is it? Is it really up on a mountain pass? If anything, the appeal of this mysterious place has grown in my mind; its pull is magnetic. 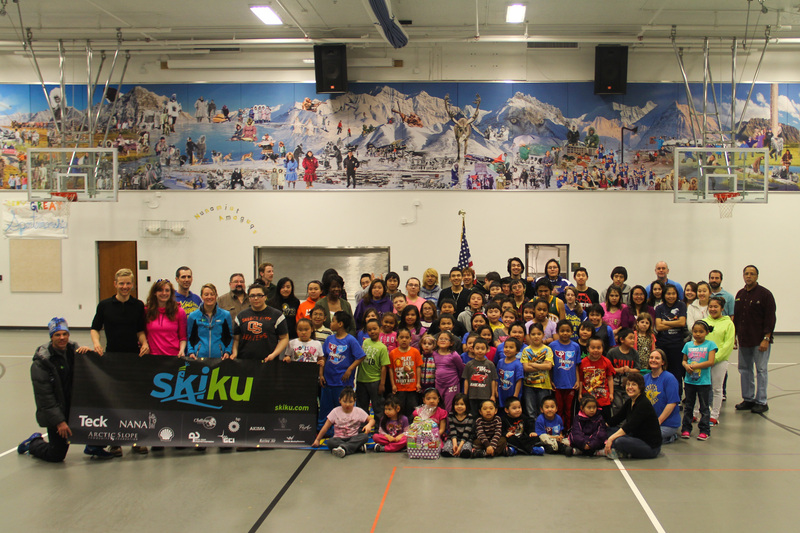 Last year I volunteered with an awesome program called NanaNordic which is working to introduce skiing to native villages throughout Alaska. It was an incredibly rewarding experience and one of the best weeks of my life. (You can read my account from last year’s trip to Buckland Alaska here). 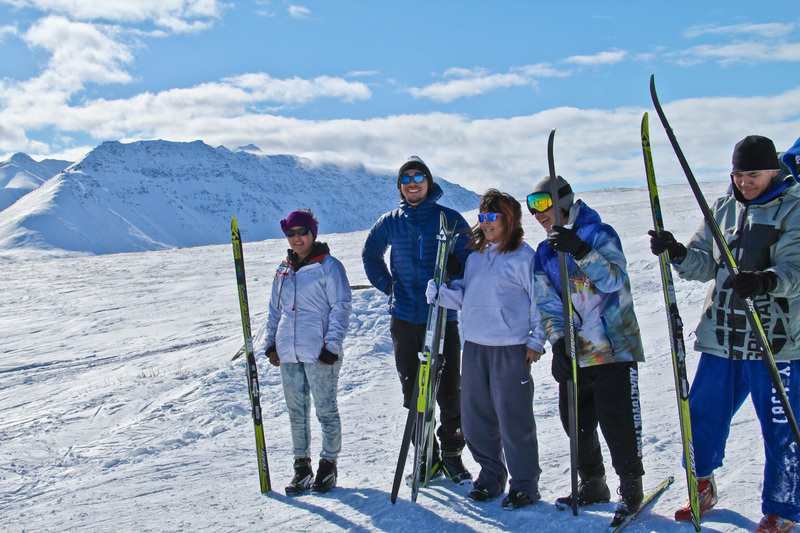 All year, I’ve looked forward to a second trip with the program, and I was really excited to hear that I’d been assigned to visit Anaktuvuk Pass this spring to help introduce skiing at the school. The other coaches assigned to the trip were Lars Flora, Amanda del Frate, and Carly Craig. 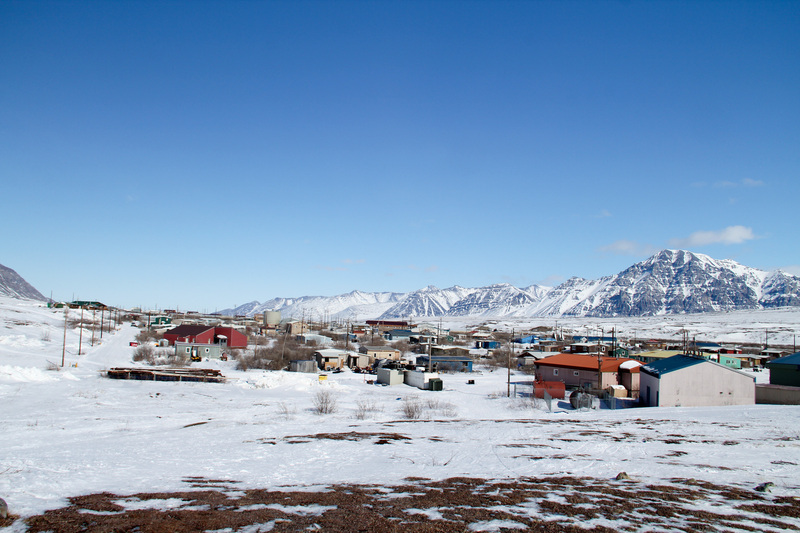 The only way in and out of Anaktuvuk is by plane – there are no roads, no big rivers, and no nearby coastal ports connecting the village to the outside world. To travel to Anaktuvuk, I took an Alaska Airlines jet from Anchorage up to Fairbanks, and then boarded a small Cessna single-engine prop for the flight to Anaktuvuk. 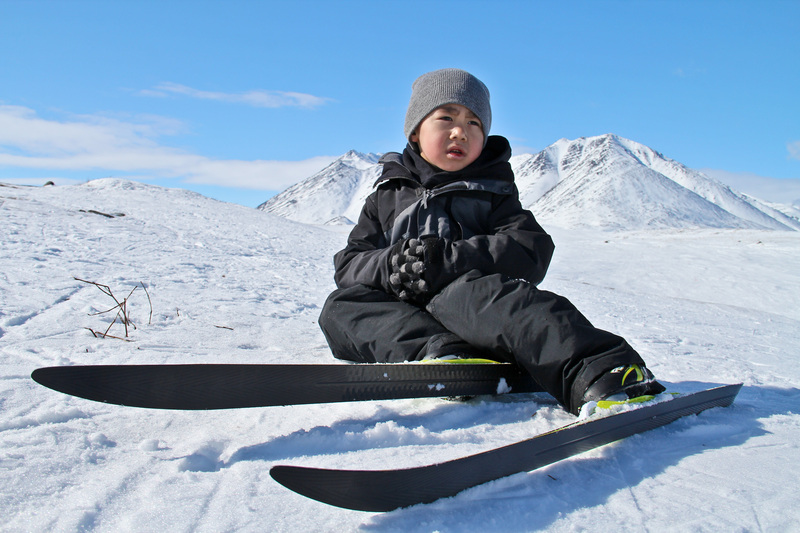 Anaktuvuk Pass is nestled in the heart of the Brooks Range, an expansive mountain range covering a footprint larger than that of the European Alps. As our plane proceeded north through a valley, the foothills turned into mountains.. Further down the valley was a notch between two mountain peaks seemingly standing guard over the arctic. We flew right through the notch with huge mountains right outside of each window. I later found out those peaks are known as the Gates of the Arctic, the namesake for Gates of the Arctic National Park. Views from the plane entering the Brooks Range. 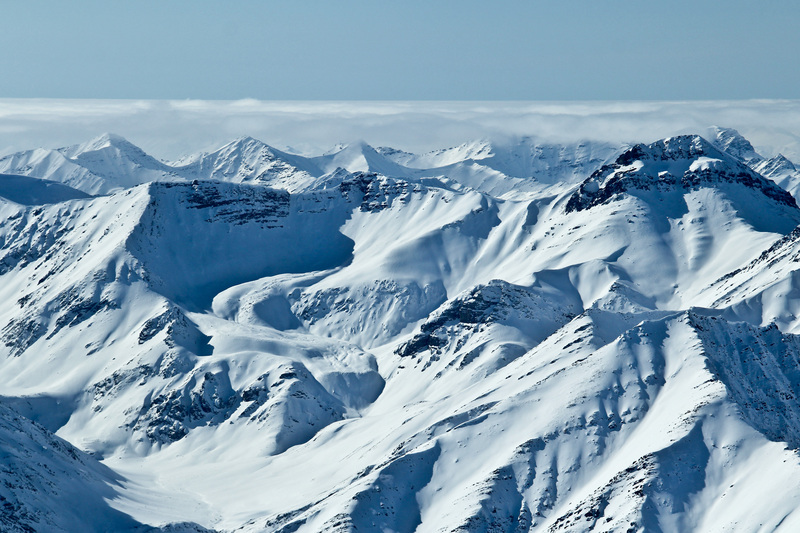 The Brooks Range is the Himalaya of the Arctic, containing the world’s highest peaks north of the Arctic Circle. The region around Anaktuvuk Pass is Arctic desert. 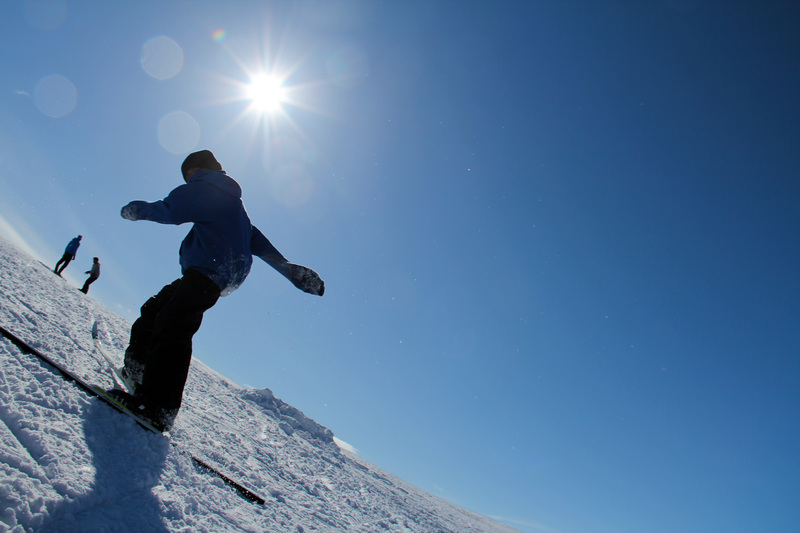 According to locals, the snow never really melts, but instead sublimates away in summer. Subsistence hunting is still a way of life and caribou is a significant part of the local diet. We saw many caribou around town. 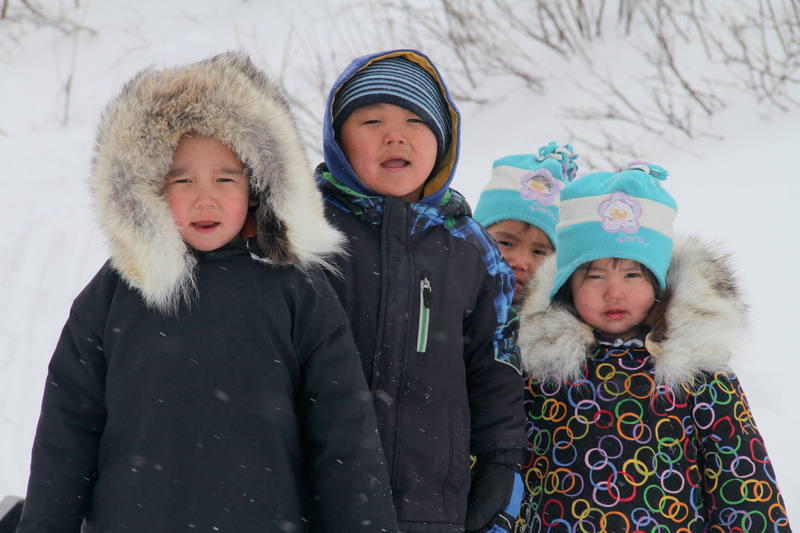 The subsistence hunting limit for locals is 10 caribou per day. Outside visitors are not permitted to hunt. Anaktuvuk Pass is the only settlement in the Gates of the Arctic National Park, and the only settlement in the Brooks Range (which is 700 miles long and 150 miles wide). 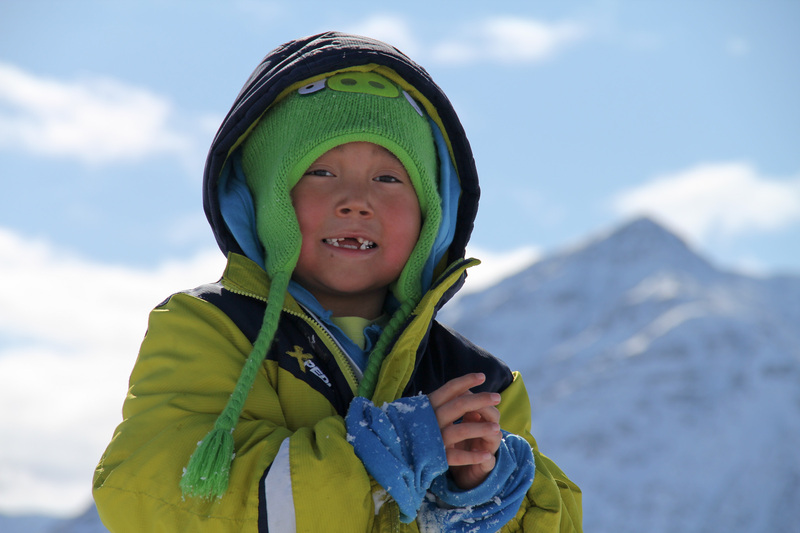 Anaktuvuk Pass is a true pass, and additionally sits on the continental divide. The stream on one end of town flows south and empties into the Pacific, and the stream on the other end of town flows north and empties into the Arctic Ocean. Fuel prices were just shy of $11 per gallon. The village of Anaktuvuk Pass, viewed from the bluff overlooking town. We were really excited to get the kids out on the snow. On the schedule, we had lessons planned during school all day Monday-Thursday with fun after school sessions in the afternoons. From the first day it was apparent that we had a good group of kids. Everyone was super excited about skiing and picked it up pretty quickly. 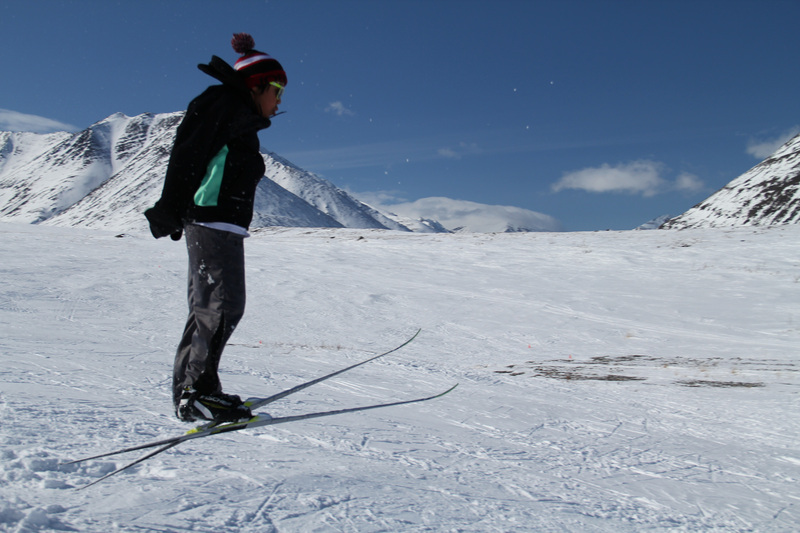 The youngsters were especially good because they had already been introduced to some xc skiing through PE. 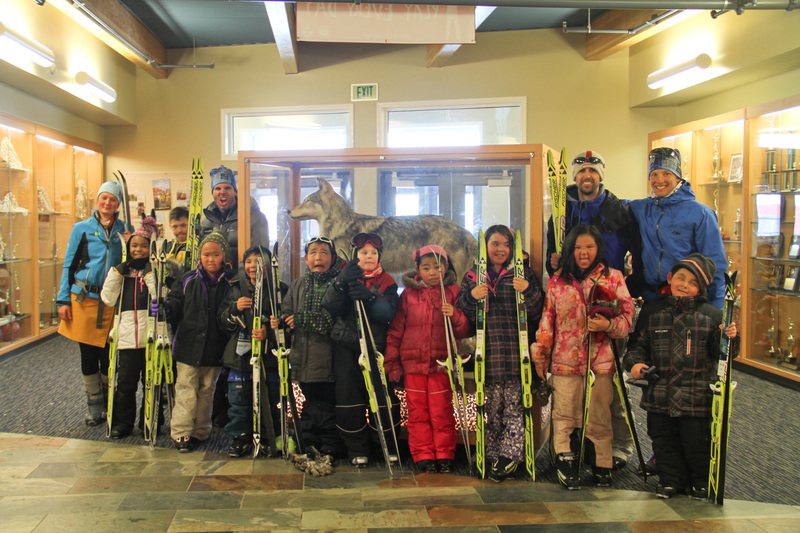 The 3rd and 4th graders, excited to ski! We are standing in front of the Nunamiut School Mascot, the Wolf. SkiKu program director Lars Flora teaching a group of students to side step up steep hills. The high school class contemplating a big downhill. Sometimes you deserve a quick break! The preschool kids wanted to check out what we were up to! 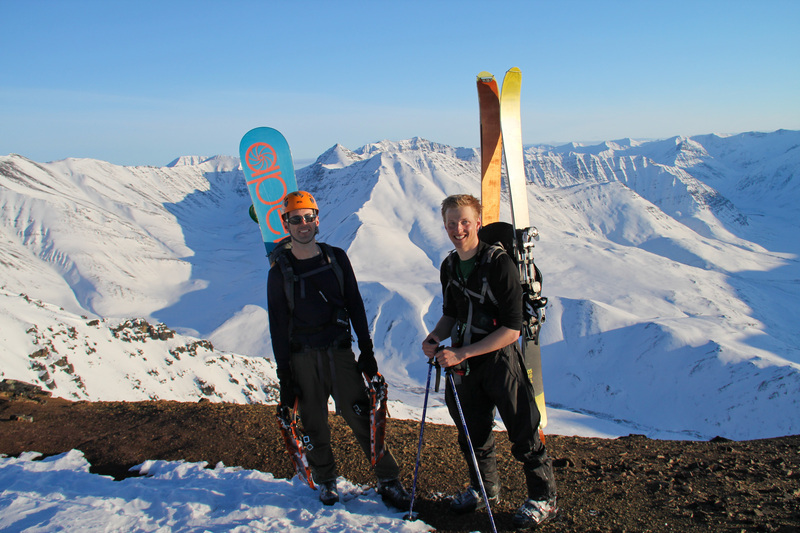 Brooks took Lars and me out into the mountains one evening for a backcountry ski adventure. 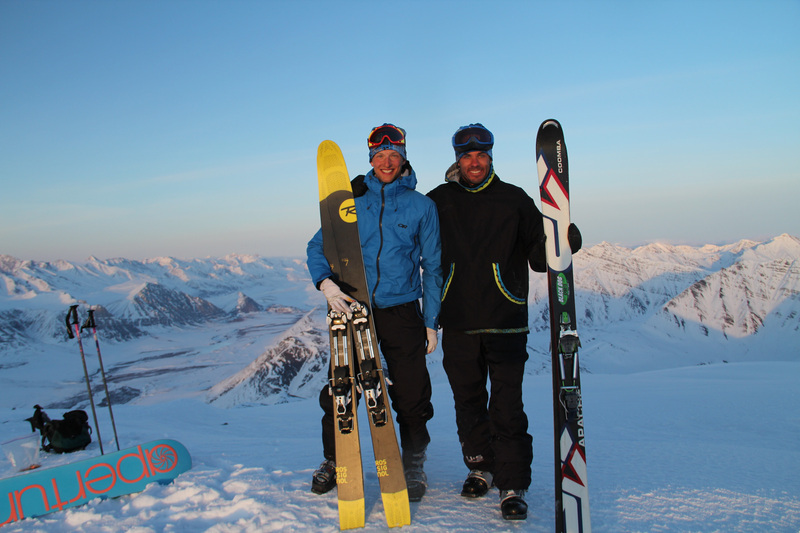 We made a 4000′ ascent up a nearby peak Ingstad, and then enjoyed some incredible skiing on the way down. Lars and I at the top at 10pm. Luckily the April sun stays out late in the Arctic. Contemplating some serious terrain on the way down, racing the setting sun. Snow machines are the best way to get around up north. In this photo, we’re on our way back to town after an adventure. 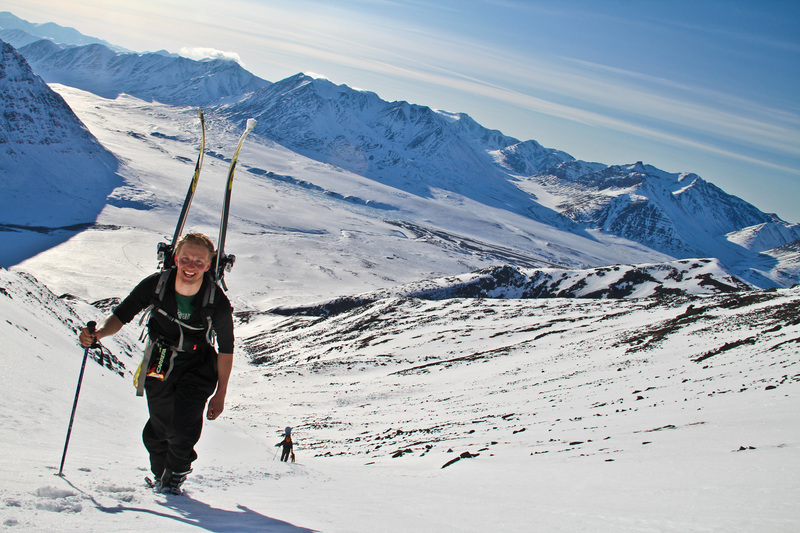 When snowmachining in the Arctic, the name of the game is no exposed skin. Fur parkas help too! From left to right: Brooks, myself, and Lars. New this year with NanaNordic/SkiKu is the Biathlon component. 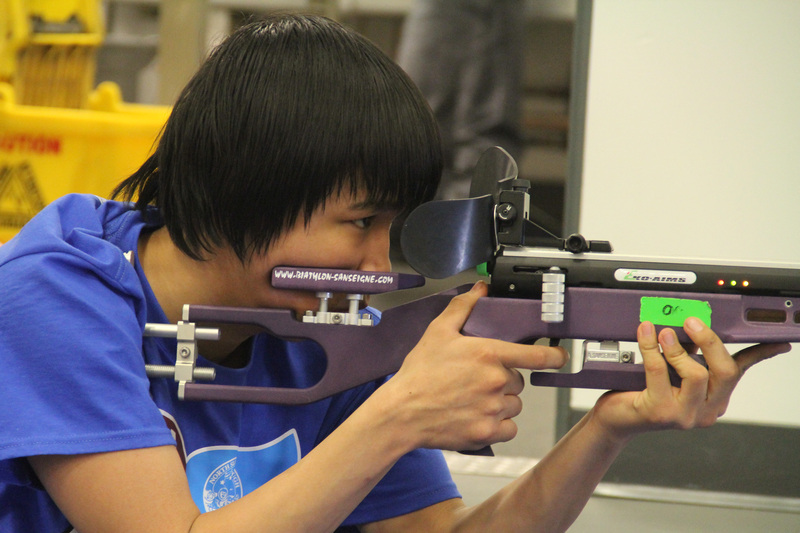 We brought two electronic biathlon training rifles with infrared targeting systems to school for the kids to try, and set up running biathlon races in the gym. The kids were really into it and extremely good shots. 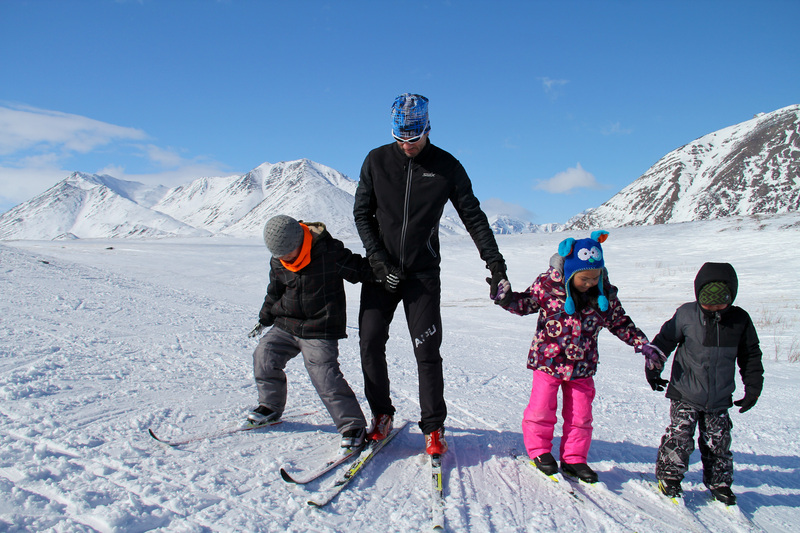 I think adding biathlon really broadened the appeal of the ski program and helped capture the kids’ attention. 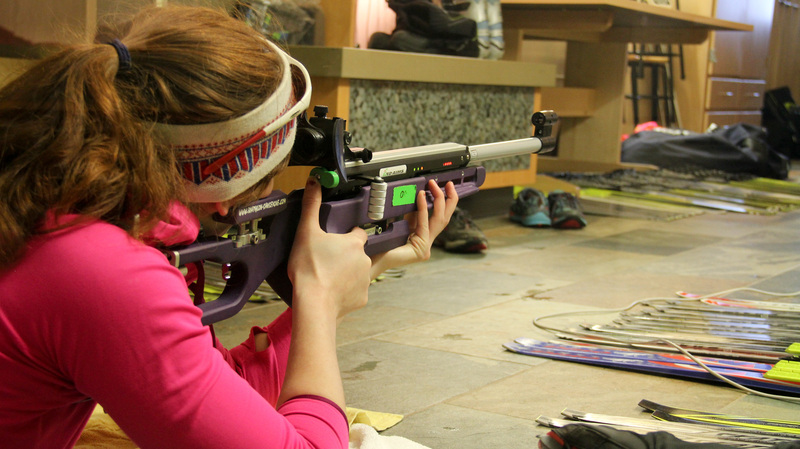 Coach Amanda del Frate introducing biathlon with infrared rifles. The kids were into it, and really good! All in all, it was again an incredible week. It sounds cliche, but both times that I’ve participated in NanaNordic, it has felt like a once-in-a-lifetime experience. 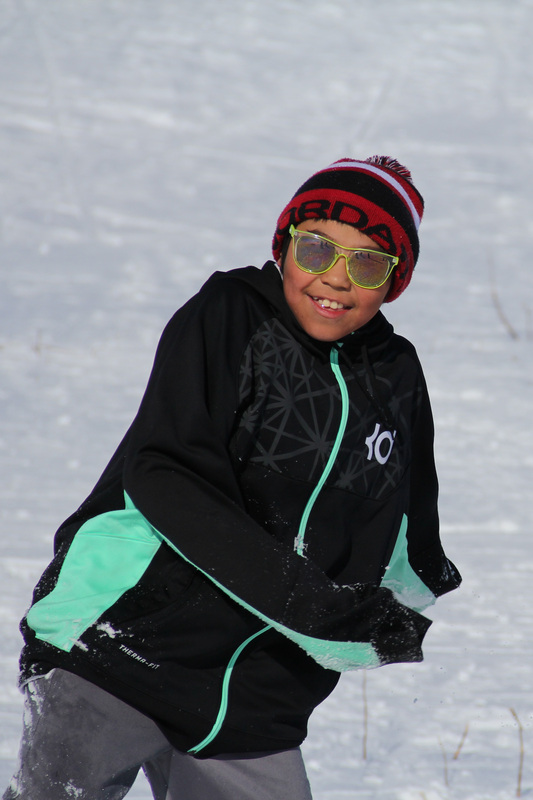 From eating caribou soup at a community dinner to playing ultimate basketball with the kids on skis, every day was unique and memorable. I had a blast working with the kids and it was really rewarding to see the progress made over the course of the week. Thanks for an awesome week! Hope to be back again next year. Great commentary about AKP, Eric! I’m glad you had such a great time up here – the kids are still talking about how much fun they had with all of the ski coaches. We hope to see you back next year!